Of all the objectives you have as a blogger, attracting website traffic is definitely one of the most important. Whether you&apos;re trying to make money from third-party ads, engaging in affiliate marketing, selling your own product, or just blogging for fun, you need to get your content in front of the widest possible audience. Fortunately, unlike the pioneering bloggers of 1999, today&apos;s fledgling bloggers have many tools at their disposal, and many of them are free. Among the best free tools you can keep in your blogging toolbox is the carefully crafted guest post. Today, we&apos;ll discuss the beauty of guest posting and the compelling reasons why it should be part of your SEO and growth strategy. Simply put, a guest post is a post written by someone other than the owner of the blog on which it is posted. This could mean that you write a post that&apos;s published on someone else&apos;s site, or it could mean that you publish a post written by someone else on your site. In these scenarios, both of you are "guests." According to Neil Patel, named one of the top 10 internet marketers by Forbes, there are three main goals for guest posting. As defined by Modern Post Marketing, a backlink is "any link in or on a website page that points (or “links") back to your website/page." Backlinks not only let others click through to your blog from somewhere else, but they also help your site appear further up in the search engine results pages (SERPs). The more authoritative the site your backlink rests on, the greater the weight your backlink will carry with Google and other search engines. They will also factor in the relevancy of the backlink&apos;s host site when deciding its importance. 1. Guest posting lets you build a portfolio of articles, possibly on some major sites. You&apos;ll probably have to work your way up, but once you&apos;ve got one major site under your belt, you&apos;ll have a greater chance of being able to post on sites like Forbes or Huffington Post, either of which could give your site significant exposure. 2. Your blog can increase in value. Down the line, you may want to sell your blog, and a healthy backlink profile that reflects tons of hard work can make your site a valuable asset. 3. You get to play with formats you&apos;re not used to as you try to fit in with the style of the site that you&apos;re posting on. This lets you experiment a bit, which in turn helps you learn new things. 4. You can reach a new audience. 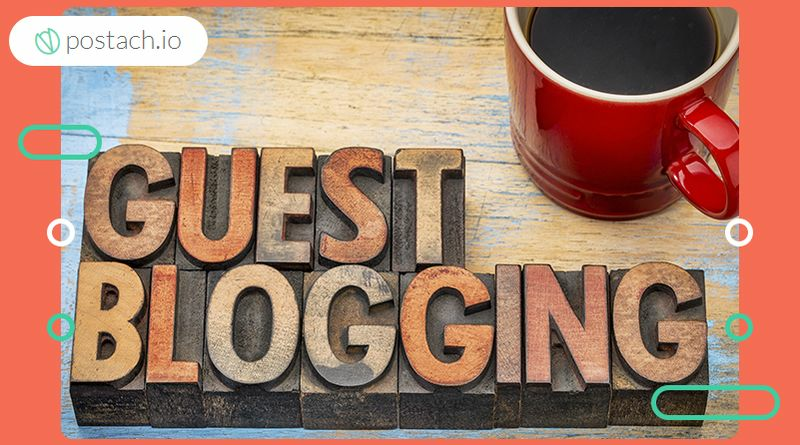 Guest posting is a great way to get yourself out in front of people who wouldn&apos;t otherwise find you because they are searching for a relevant, but different, niche. 5. You can glean invaluable feedback. The editors at the sites you post on may have some comments for you, or they may suggest changes before they will publish your post. Of course, you&apos;ll need to be open to constructive criticism (a must for any writer) and make any changes to your post that they see fit. That&apos;s just par for the course when you write for any site. 6. You can hopefully write for particular bloggers over and over again. Building an ongoing relationship with influencers in your niche will also help you build a relationship with their audience. As you can see, many are the reasons for guest posting on the sites of others. However, it doesn&apos;t need to stop there. Guest posting can, and should, be a reciprocal activity. As you merrily guest post your way across the web, you should let others post on your blog as well. After all, it&apos;s a win for everyone involved. Guests posters on your blog will enjoy the same benefits (traffic, authority, exposure, backlinks) as you do when you post on other blogs, and you will get more content for your site, which is a powerful plus. You see, content is still king, and the more content you have on your blog, the greater the traffic to it will be. As the content on your blog grows, Google and other search engines will show it more and more love, and the higher up it will land in the SERPs. Having external links on your site doesn&apos;t hurt either. It actually helps with SEO, so says Linkarati. Guest posting can be so effective that even brands such as Intel, Evernote and Xbox do it, according to Social Media Examiner. They are obviously doing something right. You can do "something" right too. Posting to sites that are relevant to your niche and target your desired audience is critical, as it gives you the best chances of success. Posting to sites unrelated to your niche could get you a bit of traffic, but it will not likely be traffic that converts. You want to get your posts in front of the audience most likely to help you reach your end goals. * Your Keyword “guest post"
* Your Keyword “write for us"
* Your Keyword “guest article"
* Your Keyword “guest post opportunities"
* Your Keyword “this is a guest post by"
* Your Keyword “contributing writer"
* Your Keyword “want to write for"
* Your Keyword “submit blog post"
* Your Keyword “contribute to our site"
* Your Keyword “guest column"
* Your Keyword “submit content"
* Your Keyword “submit your content"
* Your Keyword “submit post"
* Your Keyword “This post was written by"
* Your Keyword “guest post courtesy of "
* Your Keyword “guest posting guidelines"
* Your Keyword “suggest a post"
* Your Keyword “submit an article"
* Your Keyword “contributor guidelines"
* Your Keyword “submit news"
* “Your Keyword “guest blogger"
* Your Keyword “guest posts wanted"
* Your Keyword “looking for guest posts"
* Your Keyword “guest poster wanted"
* Your Keyword “accepting guest posts"
* Your Keyword “writers wanted"
* Your Keyword “articles wanted"
* Your Keyword “become an author"
* Your Keyword “become guest writer"
* Your Keyword “become a contributor"
* Your Keyword “submit guest post"
* Your Keyword “submit article"
* Your Keyword “guest author"
* Your Keyword “send a tip"
* Your Keyword inurl: “guest blogger"
* Your Keyword inurl: “guest post"
Your success as a guest blogger depends on high-quality content. Do your guest posts receive likes, shares, or comments (all of which indicate your work is being read and appreciated)?" Along with the above, make sure your posts are free of misspellings, and don&apos;t submit duplicate content. Blog owners who allow guest posts are typically looking for unique posts, not those already published on your own blog or a competitor&apos;s site. Additionally, don&apos;t forget to include your name along with a link to your blog in every post. You can also leave a short bio on some blogs. Check to see if the blog owner allows it. If they do, keep it focused and fun. A good bio will make readers want to know more about you. At Postach.io, we believe that guest posting, when combined with other SEO tools and the right blogging platform, will help you reach your traffic goals sooner rather than later. In fact, There&apos;s no understating how a beautifully written guest post can attract attention, help you build your following, and increase your brand awareness.